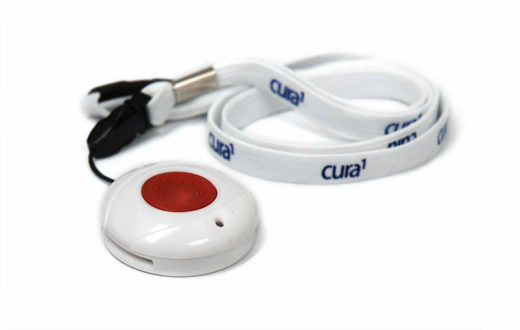 A low-cost panic button with lanyard and a large splash resistant button for ease of use. Large rubber button for easy use by elderly patients. Standard Lanyard for patient to wear around neck. Works with single use hospital wristbands. Changable battery with projected 1-year life.